Keely was born on July 11th 1963 to David and Nancy (Kolden) Biegel in the Eau Claire area. The family eventually moved to Madison and then to Marshall, WI where she graduated from high school. On February 1, 1985 her precious daughter Jessica was born. Keely was active in an epilepsy group in Madison, where she made many friends. She also enjoyed helping out at Luke House with her church, providing hot meals to people in need. She loved to crochet and spend time with her grandson. Keely is survived by her daughter Jessica (Matthew Huston) Biegel, brother David (Ann Davison) Biegel, grandson Jayce Winters, and many aunts, uncles, cousins and friends. A visitation will be held on Friday, April 12, 2019 from 11:00 AM-12:00 noon at Kjentvet-Smith Funeral Home in Eleva, WI. A Celebration of Life will begin at noon with Pastor Bob Caftro officiating. 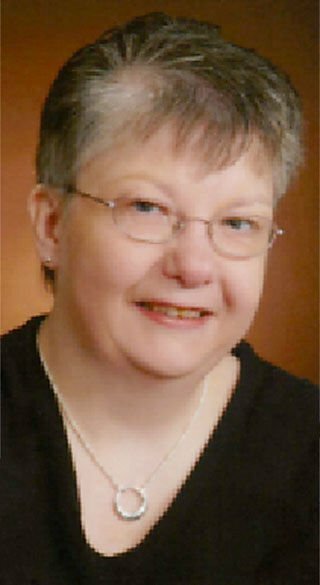 Burial will follow at Eleva Lutheran Cemetery. Hart-Vick Funeral Home, Marshall, WI is serving the family locally. Remembrances and condolences may be sent at www.watertownwifuneralhome.com. The family would like to give a special thank you to all the staff at Oak Park Place skilled nursing unit for all their care and compassion.